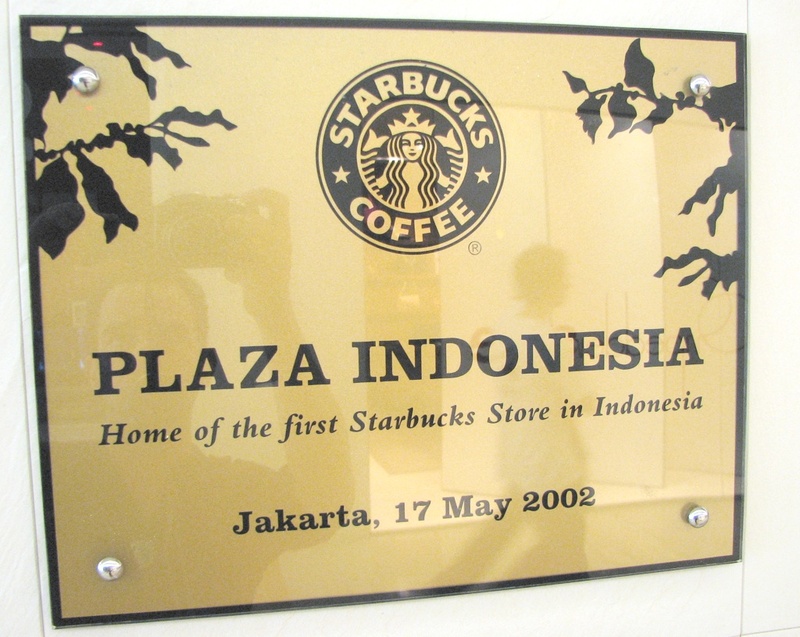 Jakarta malls are strange places. They’re islands of air conditioning in a town of near-slums. They’re the only thing to do if you have any money in this deeply unequal town. They have laughing Santas and Starbucks and skin whitening cream. I find them deeply disturbing. At Christmas, all the malls had decorations in them. It was a big thing. 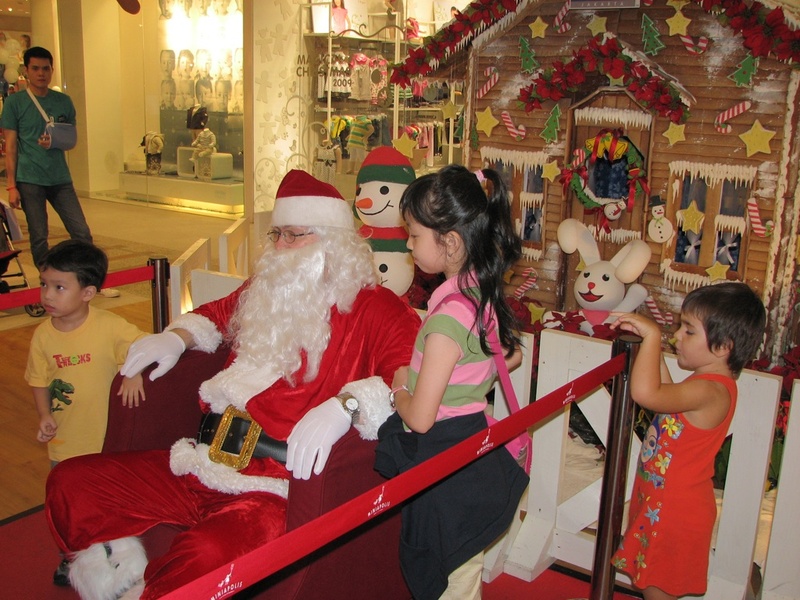 Little Muslim children lined up to sit on Santa’s lap. Whenever I asked, people shrugged and told me that Christmas wasn’t really about religion in Jakarta. On Friday nights, the malls are packed. The fashionable kids, speaking a mixture of English and Indonesian, flood the white marble floors. The malls have very loud music, and sometimes DJs. Jai told me that everyone in Siliguri was crazy about the new mall that opened there. He hastened to assure me that he personally wasn’t all that impressed, being from more developed Punjab state, but he took me there anyway. 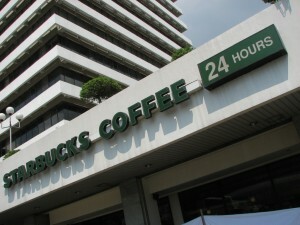 It was big and white and air conditioned and full of the usual global chain stores (Adidas, Sony, Starbucks.) Compared to the dirt markets of traditional India, it struck me as surprisingly bland and expensive– but also clean and comfortable. So badly did the locals want to see it on opening day that the security guards had to physically keep the crowds out, letting in only those who actually had money to buy. Yes, this is real. Was real, an icon and instigator of the shining consumer culture that Kerouac critiqued even in its nascent state. Today, the notion of the white plastic suburban wasteland is so mainstream in the West that we can easily forget its intrinsic appeal; modern marketing is all about being unique and different, but it was once enough just to be new and middle class. But the other billions still want this! They want to drive their new cars (thank you Tata) to the new mall. In the developing world, Middle Class is the holy grail. It’s a deep, almost universal aspiration that seems shallow to us only because we already have it. While I drink imported wine with my friends and ponder global economics, neuroscience, and avant-garde electronic music, most of the world just wants to be rich enough to shop somewhere air-conditioned — and in quantity. The shopping centers see these young adults as people whose homes are always in need of expansion. People who buy in large quantities, and truck it away in their cars… It’s a happy-go-spending world!